Bo Bergemann is a world renown award winning artist originally from Hawaii who is currently residing part time in NorCal, part time in Hawaii. Bo’s life always shows up in her work because life itself is at the core of all her her art & design. Please follow Bo on Instagram & Facebook to be treated to some colorful beauty on a regular basis. Bo also occasionally uses Twitter & Pinterest Just scroll all the way down this page for those links. But your best bet to be kept updated regularly is to join Bo’s email list or follow her blog. In addition to creating original fine art dolls and wall art, Bo also designs actual play doll and collectible doll and BJD (ball jointed doll) lines as well as successful pop art & plush toy and collectible lines. Mahalo Bear is another creative fun character in Bo’s original Hawaii themed collectibles lineup. If you are looking to see some BJD or Fine Art Dolls available now or on pre-order, click the links above or use the top navigation bar of this website by scrolling all the way up. Here is a link if you would like to learn more from the perspective of some of the articles written about Bo. 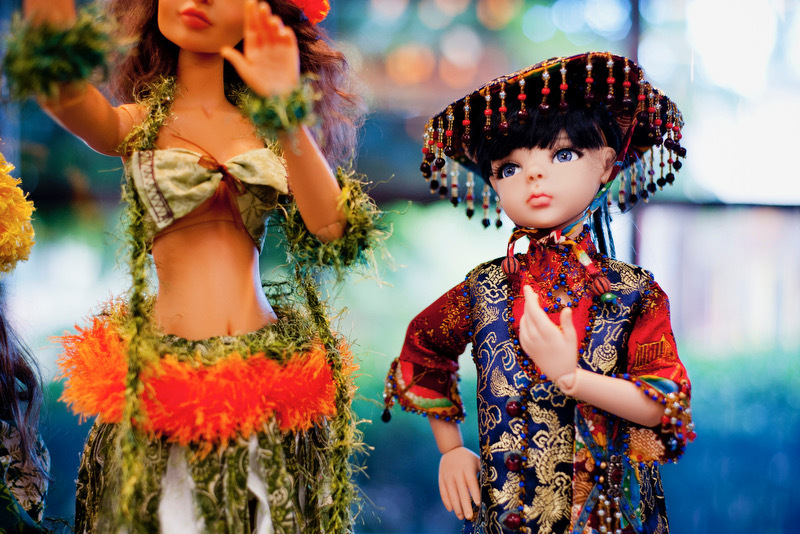 Links to see fine art doll and BJD’s available for sale now here on this website, or to learn more about Bo and her Ohana, are at the top in blue if you scroll all the way up this page.